158 " 111 " 144 " 150 " 158 " 160 " 165 " 167 " 170 " 171 " 173 " 176 " 178 " 180 " 183 " 184 " 189 " 194 " 195 " 196 " 198 " 204 " 205 " 208 " 209 " 211 " 228 " 236 " 240 " 243 " 244 " 279 " 298 " 386 "
Make a Selection .035 x 1 " .035 x 1 1/4 " .038 x 1 1/4 " .042 x 1 1/4 " .045 x 1 1/2 " .045 x 2 " .055 x 1 3/4 " .055 x 1 1/2 " .055 x 2 "
Make a Selection 1 " 1/2 " 1-1/8 " 3/4 " 5/8 " 7/8 "
*Free Shipping in contiguous U.S. only. 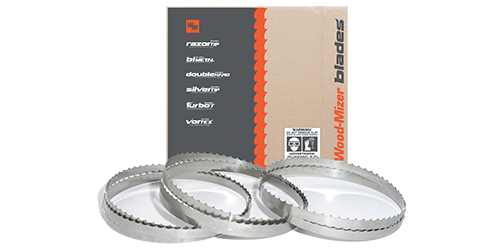 Manufactured from "carbon" steel, SilverTip blades can be used on both portable and industrial sawmills and is also suitable for horizontal resaws. 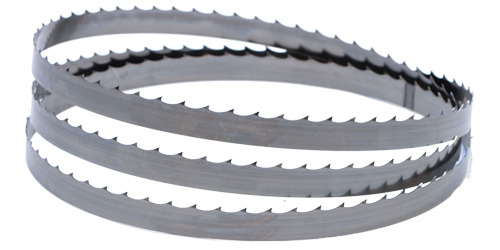 Carbon is the most common steel used in narrow-band sawing and can be resharpened, but typically not as often as a blade made with high-alloy steel.